We welcome you to the admission process at CFC Academy! Please read our website carefully; including Our Beliefs, Core Values, our Mission Statement. We invite you to come to our annual Open House held each February and to schedule a visit to our campus, at which time an Administrator will meet with you to answer any questions that you may have. We want you to get to know us, and we want to learn more about you through our application process. You can call our admission office at any time for help or to schedule tours. The direct line to the Admission Office is 919 528-1581 ext. 112. We strive to bring together a cohesive student body that can grow spiritually, academically, and physically. Each candidate’s academic potential, scholastic motivation, and character development are taken into consideration. 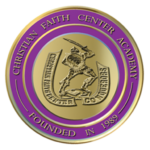 Christian Faith Center Academy admits students of any race, color, national or ethnic origin and does not discriminate on the basis of race, color, national or ethnic origin in administration of its educational policies, admission policies, and other school-administered programs. CFC Academy reserves the right to deny admission to a student if his or her ability, behavior, or emotional development indicates that he or she could not be best served by our school program. The admission office seeks to make each admission decision based on what is best for the child and for CFC Academy.